Put this on the list for 2018, lawmakers. The change to a simple majority to pass a school construction bond is long overdue. Washington’s state Constitution requires only a simple majority vote to raise most taxes. Yet, when it comes to all-important school construction bonds, passage requires 60 percent, not a simple majority. It’s time for the Legislature to correct what is a long-overdue inequity in state law. A simple majority for school bonds is essential to meet the needs of Washington’s growing school population and to answer the requirements of the McCleary school funding lawsuit for all-day kindergarten and smaller classes in grades one through three. The challenge of meeting the 60-percent supermajority is all too evident across the state. Many school-bond measures fail even though a simple majority of voters say yes. When the focus should be on learning — improving graduation rates and erasing long-standing achievement gaps between students of different economic and racial groups — too many school districts struggle with leaky roofs and old mechanical systems in decrepit, seismically unsafe school buildings. Tragically, the state Legislature set aside $1 billion in construction matching funds earlier this year for essential school improvements, but the capital budget was never adopted because of a dispute between the House and Senate. That, too, must be corrected by the next Legislature. To understand why this supermajority issue is so important, consider this month’s election. Federal Way Public Schools barely squeaked past the 60 percent threshold on a $450-million bond measure to rebuild and remodel some of its oldest schools. But Longview, trying for a third time, appears to have failed with a 56 percent yes vote. And Moses Lake, after repeated attempts, just managed to pass a bond measure, but now the election certification is being challenged by a group of voters. Across Washington, between 2011 and 2017, 94 school districts have lost bond votes that were greater than 50 percent. In some districts the failure was a repeat of earlier attempts. The consequences of failed bond measures are on full display in Federal Way. A recent walk through Thomas Jefferson High, which will celebrate its 50th birthday next year, illustrates why this school and seven others in the district need repair, or at least modernization — as soon as possible. The high school’s foundation is sinking. Modern wiring is hung on the outside of buildings or under classroom rugs in an attempt to keep up with technological needs. 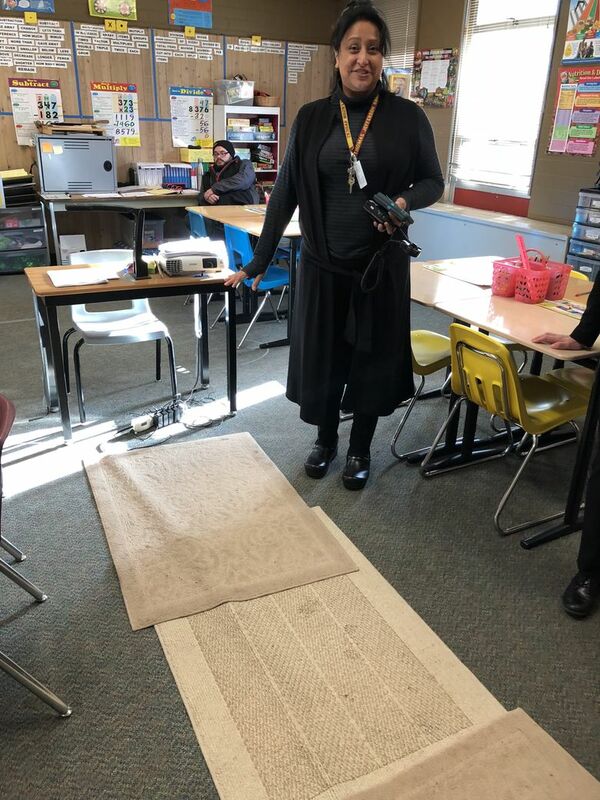 Soft spots in classroom floors are covered with cracking tiles or, in extreme cases, a teacher’s desk, so students don’t accidentally put a foot through the floor. Buckling sidewalks are so uneven one tripping hazard recently sent a student to the hospital. The whole district needs security upgrades, new roofs and modern heating systems. While it looks like Federal Way will get some of those improvements, the Longview School District will continue to educate its students in worn buildings, including two elementary schools from the 1950s. Earlier this month, the district came a few hundred votes shy of having $121.6 million to spend on schools. Ironically, many of Longview schools were built shortly after the supermajority requirement for school bonds was added to the Washington Constitution in 1943. Put this simple fix on the list for 2018, lawmakers: The change to a simple majority to pass a school construction bond is past due.